David is one of the top caricaturists around. Fab, Fast and Fun Caricatures in West Sussex. From table hopping at Weddings, Walkabout Artist at Award Ceremonies to a Event Cartoonist at a 50th birthday blast and loads more. He’ll humour your guests, and capture convincing funny faces in minutes. Real Conversation piece! 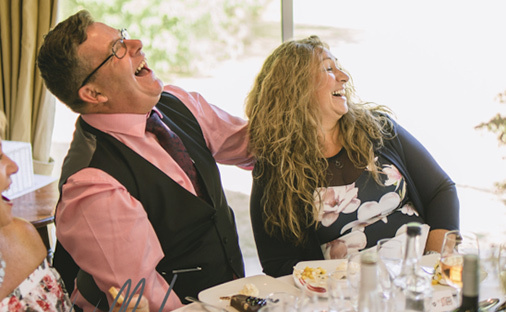 Groves Caricatures (best known as Dave) is available for hire at weddings, parties and events in throughout West Sussex, Chichester, West Witterings, Bognor Regis, Arundel, Worthing, Storrington, Bolney, Horsham, Billingshurst, Fernhurst, Petworth to a name a few places. A few venues recently attended to draw caricatures at in the West Sussex area include the Goodwood Hotel, The Arora Hotel in Crawley, Cowdray Park in Midhurst, and Farbridge Hotel in Lavant. Tottingon Manor in Edburton and Hickstead Hotel near Burgess Hill. 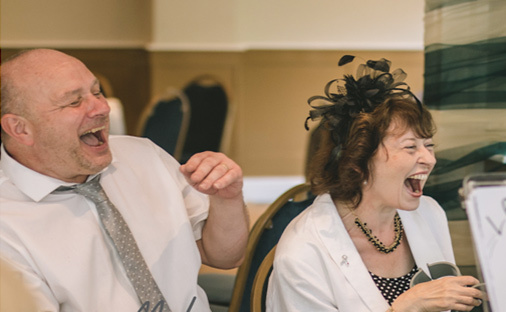 A few venue’s visited in 2015-16 for wedding caricature entertainment in West Sussex include Winston House in Steyning, Felbridge Hotel in East Grinstead and the lovely South Lodge just outside Horsham. Caricature Entertainment available for hire at weddings, parties and events in the Chichester area,, Selsey, Emsworth, Havant and throughout the Chichester area. 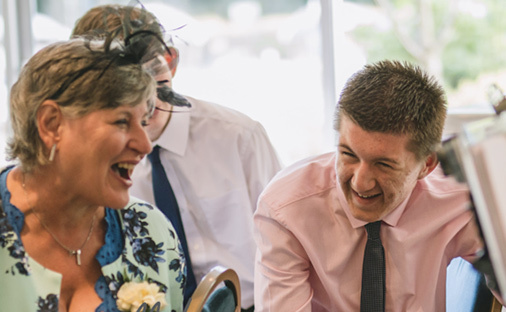 A few venues recently attended to draw caricatures at in the Chichester are the Inglenook Hotel in Pagham and the Spread Eagle Hotel in Midhurst. Also at fun wedding receptions at Chichester Watersports in Westhampnett. 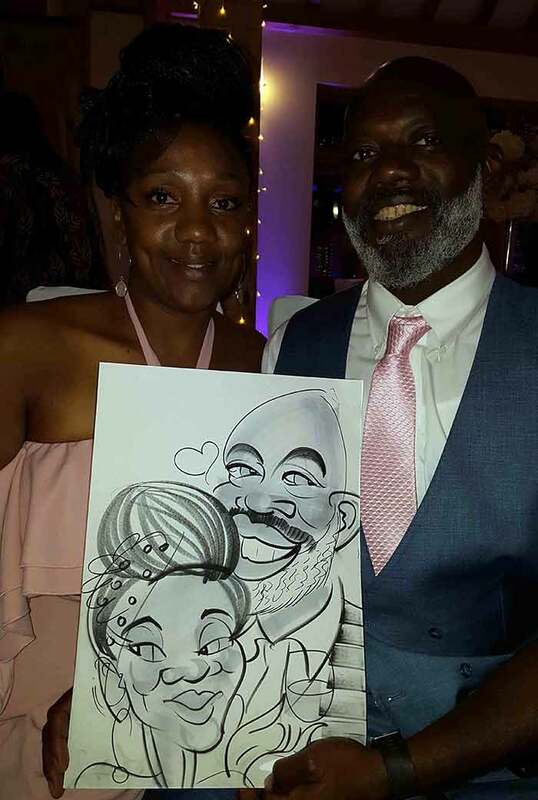 Caricature Entertainment for weddings, parties and events also in the Worthing area, Aundel, Littlehampton, Pulborough, Henfield and throughout West Sussex. A few venues recently attended to draw caricatures at in the Worthing area are at Field Place, Highdown Hotel, the Shoreham Centre and Avisford Park Hotel in Arundel, and corporate events at the Ardington hotel in Worthing. Patrick Moore (1923-2013) was the Godfather of all things Astronomy and lived in Sussex most of his life in the town of Selsey. Patrick Moore is best known for presenting the long running television series “The sky at Night” and was an inspiration to amateur and professional astronomers the world over. Patrick’s first broadcast was in 1957 and he continued until he died in 2013, making him the longest presenter for a single programme in TV history. He is probably one Britain’s most eccentrics and real life caricature as well. He wore a monocle and smoked a pipe. He spoke in rapid diction when talking, and held some rather old fashioned views. In fact he was utterly unrepentant about his lack of political correctness. 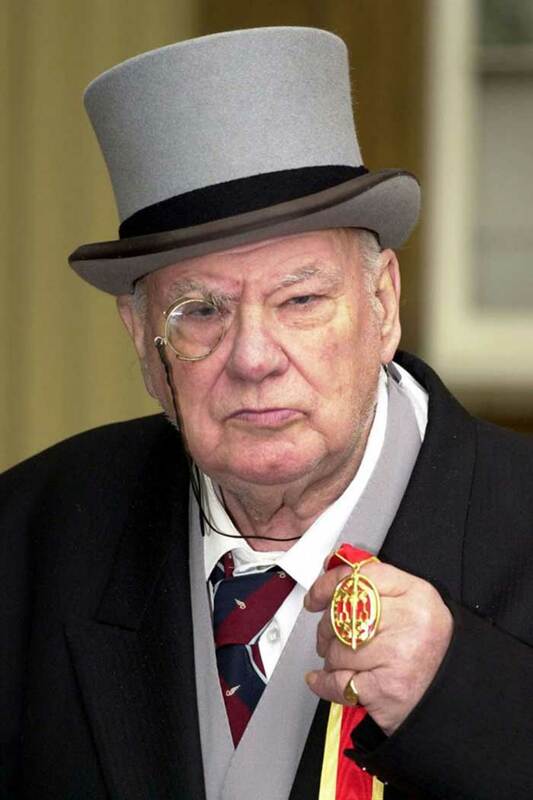 For example Patrick Moore stated he’d never forgive the German’s because he lost the love of his life when in WW2 a German bomb landed on the hospital she worked. Another notable comment was misogynistic which perhaps only Patrick would dare say. Once saying the ‘BBC was being ruined by Woman’. He even banished a female newsreader into room 101 once. Patrick also had strong views on anti-immigration. Once when criticised about how right wing he was, he replied “I may be accused of being a Dinosaur, but I would remind you that dinosaurs ruled the earth for a very long time”. Truthfully for me Patrick Moore is most remembered for being the face of ‘Game-master’, where he appear as a giant robot face and shared tips and tricks for computer games. I can recall some useful cheats on Street Fighters for the ‘Super Nintento’. It amused me when I read that Patrick could record in one setting and no mistakes but the host Dominik Diamond said Patrick didn’t have a clue about what he was saying and didn’t understand any of it. He was in his 70’s at that time and I guess it not to surprising that his passion was for Star gazing and not ‘Sonic the Hedgehog’. Lastly a little local Sussex fact – Patrick was a key figure in the establishment of the International Birdman event in Bognor Regis, now in Worthing as well. It was initially held in Selsey, (perhaps it had a pier once). Anyhow the Birdman is always a good fun day out.